Hawaiian Hazelnut delivers the flavor of rich coffee blended with tropical hazelnut to delight your senses. Invigorating, medium roast coffee comes in single-cup coffee pods. 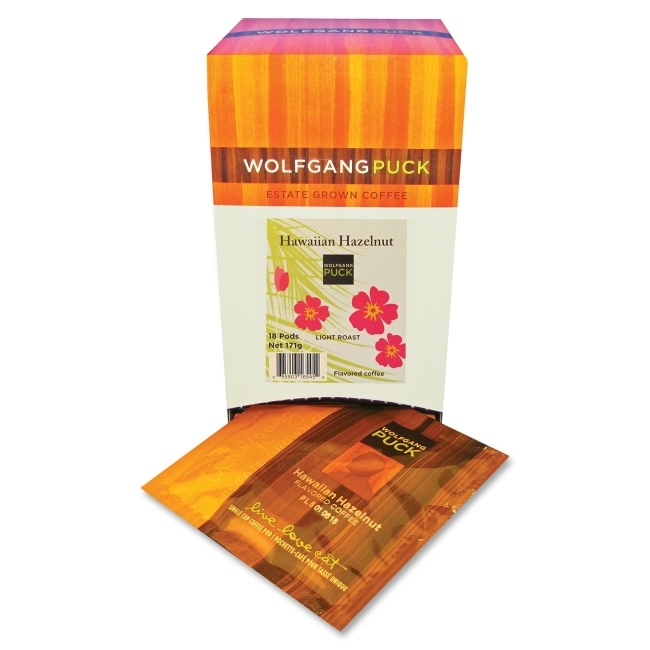 Wolfgang Puck Coffee Pods offer the most efficient way to brew coffeehouse quality coffee, one cup at a time. Each pod contains enough fresh coffee to brew one perfect cup. World-renowned Chef Wolfgang Puck offers his personal coffee blends, grown naturally and harvested from small estates around the world.